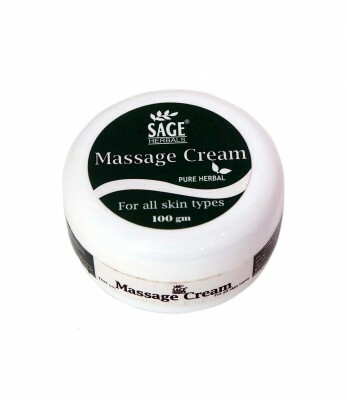 "Sage Massage Cream is a pure herbal massage cream. Nourishes and tones the skin. Keeps the skin away from dryness , wrinkles, patches and dark spots if used regularly. Application: Massage the face gently in upward circular motion for 10 to 15 minutes."